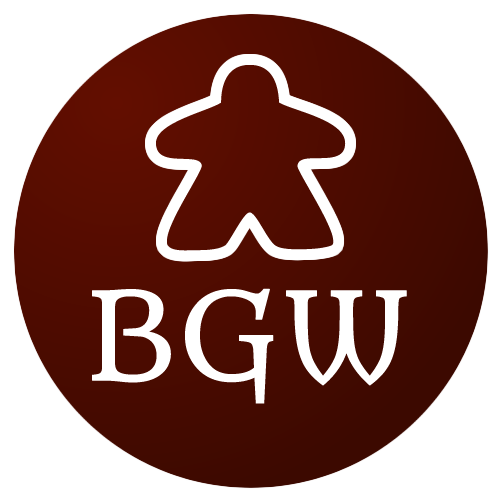 Board Gamer Weekly is a free weekly curated publication full of interesting, relevant links about board games hobby. Subscribe now and never miss an issue. Last time we talked about solo gaming, so it's fair to talk about the games that are more for couples to play, or that have a love theme, especially since Valentine's Day is just a few days away. When you mention love and board games in the same sentence, most people will immediately think about Love Letter. While it's a very good deduction card game for 2-4 players, the love aspect is pretty vague, to the point that there are re-implementations like Love Letter: Star Wars, Love Letter: Batman and Love Letter: The Hobbit which really don't have much with love. Upcoming Fog of Love is much more thematic. Fog of Love is a card game for two players who act out a stormy love affair. It was funded last year on Kickstarter and currently available for preorder. Another recent game about love is ...and then, we held hands, an abstract co-operative card game about making a balance in a relationship. Other notable mentions include Ladies & Gentlemen, Slash: Romance without boundaries and Kama Sutra - a new adult party game that caused quite a lot of stir and even got on top of BGG hotness list at one point. Anyway, there are a lot of games for couples to play, that are not necessarily love/romance themed. Take a look at Top 5 Board Games for Valentine's Day 2017 article by UpDog Games. Have fun! Steven Tudor from Polyhedron Collider continues the list of awesome looking board games coming in 2017. Take your first steps in the Ticket to Ride series with First Journey! Days of Wonder announces yet another new Ticket to Ride game. This one is more suitable for younger players, ages 6+. Portal Games are making a review of their 2016. and announcing some new games, expansions and digital apps for 2017. David Miller shares some interesting news from Hasbro. Record revenues, games up 9%, Magic Digital Next launching in 2017. Corey Thompson writes about upcoming Queen Games releases. Queen Games recently listed a bunch of new releases for April 2017, including a new Kingdom Builder expansion and a big box treatment of Escape: Zombie City. Sometimes it can feel like different pathogens are fighting it out for different organs within your body. Well, in Viral, that’s exactly what is happening, and soon Arcane Wonders will be bringing it to an English audience. It’s 2017, and the world has changed. We’ve moved past the notion of female gamers being unicorns, or that games are just made by guys for guys. Women aren’t just playing games, they’re also involved in the tabletop industry on every level, from designing and distribution to running FLGSs, commentators, and instructors of hobbying on prominent geek sites. Tom Vasel of The Dice Tower lists his Top 10 games with a zombie theme! Hi, I’m Sébastien Pauchon. I’m a Swiss game designer/publisher and I’m here to tell you a bit about how Jamaica came about—a game I co-designed with Malcolm Braff and Bruno Cathala. It is published by our firm GameWorks. Board Game Sanctuary presents their top 5 must have worker placement games. Worker Placement Board Games are games that involve players in an action draft where players place workers on action spaces to activate particular actions or effects. Best 3 Games with... Railroads! Tim from The Players' Aid writes about his top 3 games with railroads, Black Gold, Great Western Trail and Russian Railroads. Listen to the interview with Rob Daviau at WashingCon 2 to hear more about his upcoming work, views on game design, and why his memories of playing Dungeons and Dragons as a kid rank among his favorite memories in gaming. Forge the final chapter of the Exodus: Proxima Centauri saga. Rule the stars and redefine your game with Exodus: Event Horizon! A Shakespeare-themed version of Munchkin – the hit card game of monster slaying, punnery, and backstabbing. Et tu, Brute? The first expansion in two of the nicest city in the world during the Art Deco period, fly boats and long bridges are waiting for you! The Shared Dream is a modern fantasy cooperative board game featuring beautiful miniatures with TRPG-inspired storytelling & gameplay. Grab a pickaxe, light your lantern, and prepare your strategy in this pocket-sized game for 2-4 players! Alex Singh from iSlaytheDragon community reviews Steampunk Rally, a strategy game that incorporates steampunk as more than just a bit of chrome. TwoBats Gaming takes a look at this much-hyped cooperative deck building game from Action Phase Games. Tony Mastrangell of Board Game Quest reviews Villages of Valeria, a tableau building, hand management game for 1-5 players that takes about 30-45 minutes to play. Joel Eddy of Drive Through Review reviews Gloomhaven by Isaac Childres, one of the most anticipating games of 2017 and current #1 on BGG hotness list. A review of Trickerion by Baden Ronie of Wolf's Gaming Blog. Trickerion puts you into the shoes of a stage magician hiring his crew, honing his craft, building his tricks and then performing them on stage in order to become famous. Rahdo runs through Taluva, a 2-4 players tile placement game that works in three dimensions. The Dice Tower crew and friends are going through all of the reviews they did the last week. SU&SD was started by Paul Dean and Quintin Smith 5 years ago. It's one of the most popular board game review shows. Their reviews are well produced, acted, and filled in with humor. In their own words: SU&SD is a show all about board games, card games, and all the other games you can play in your very own house. We believe that boardgame journalism should be as surprising, heartfelt and raw as the hobby itself. As anyone who’s ever played a tense hand of poker will know, there’s a tender, emotional core to this hobby. A core we would like to expose like a couple of amateur surgeons performing unsupervised open heart surgery. But with more jokes. Beside video reviews they are also doing written reviews on their site and podcasts. You can follow them on Twitter and Facebook. That's it for this week. I hope you have enjoyed reading this issue. Please share with your friends, subscribe if you have not already and follow BGW on Twitter and Facebook. Title image created from BGG image by Henk Rolleman.